A key restoration project of Kilmarnock’s Opera House, carried out by The KLIN Group in partnership with East Ayrshire Council, has reached the finals of the Scottish Government’s ‘Scottish Awards for Quality in Planning 2013’. 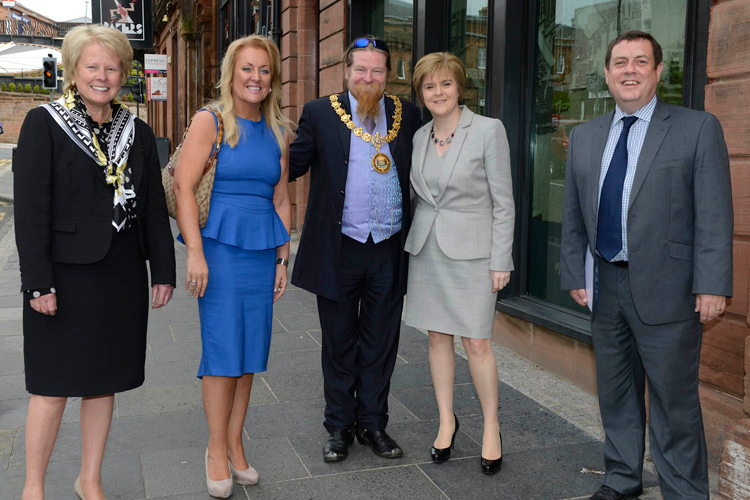 Nicola Sturgeon MSP, Deputy First Minister and Cabinet Minister for Infrastructure, Investment and Cities, today officially reopened Kilmarnock’s Opera House on John Finnie Street. A wide-ranging group of local organisations and businesses attended a special ‘conversation’ with The KLIN Group on ambitious proposals to regenerate the site of the former Diageo bottling plant in Kilmarnock. 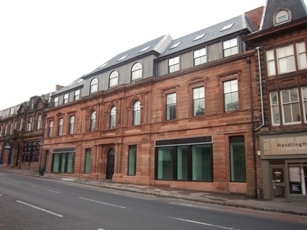 The KLIN Group has appointed international design company Keppie as architects to regenerate the site of a former bottling plant in Kilmarnock. The KLIN Group’s proposals are community-based in education, health, community sports and culture, with an opening-roof arena that would provide a year-round, town centre venue for sporting, conferencing and entertainment events. The KLIN Group announces A Community 'Conversation' to take place on 5th June 2013 at 5.30pm at Venue CentreStage Kilmarnock.